The nights may be drawing in, but you needn’t be confined to your living room. 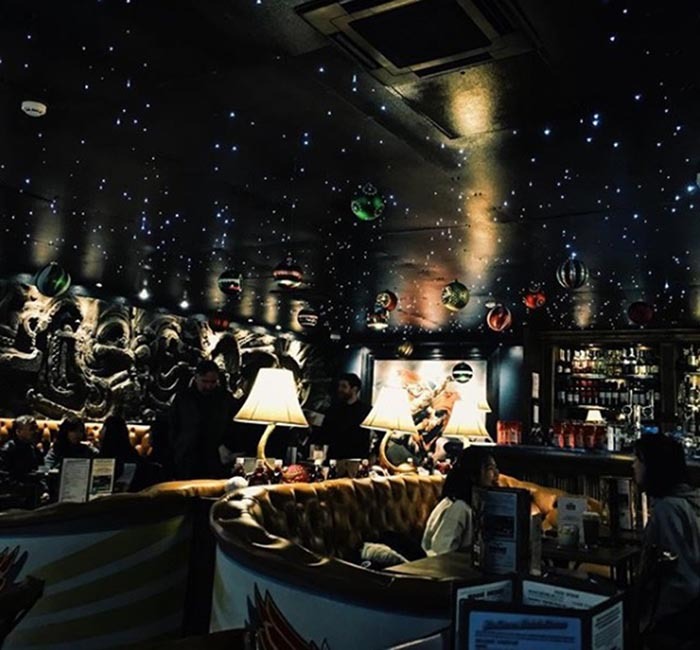 From chilled surroundings to pre-party locations, Liverpool boasts a wide selection of perfect places to accommodate a cosy night out during the colder months. With so many new bars and eateries opening up across the city, it can be hard to keep up with what’s on offer, but we here at Signature’s Liverpool can help you out. Bask on L shaped couches in front of a roaring fire at Fredrick’s. 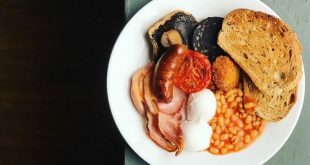 Whether it is a spot of brunch or a Liverpool Gin signature cocktail you seek, Fredrick’s will not disappoint. 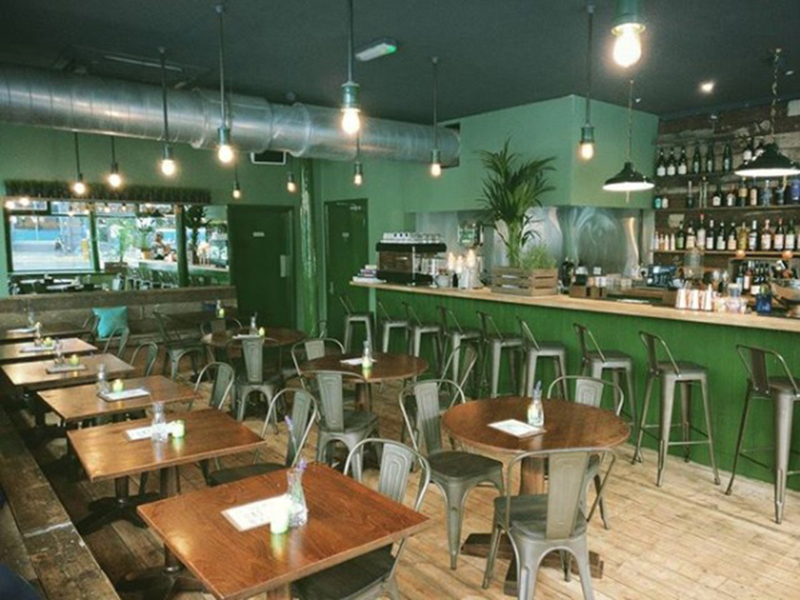 This authentic twist on a home setting and bar offers a great pre-theatre outing. Combining fairy lights with a centred fire makes for a quaint setting in the middle of a bustling city. Situated in the former St Peter’s Catholic church, ‘Alma’ is known for being the first church in Liverpool to be turned into a social venue. The internationally acclaimed, ultra-stylish restaurant and bar stands in the oldest surviving Catholic church in Liverpool, including its original features. Yes, the altar is still intact. Its candlelit setting makes for a great space to enjoy a glass of your favourite alcoholic beverage. Bringing a taste of Parisian nightlife to Liverpool, why not spend a cosy evening inside this Berry Street gem? Petit Café Du Coin offers a stylish space to come in from the cold and indulge. Catch up with friends over a candelit glass of wine, delicious cocktail or milky Camembert served with crusty bread. You can also look forward to truly fantastic table service! Whether it is drink after work, a cup of coffee or a cake the guys at Filter & Fox have you covered. 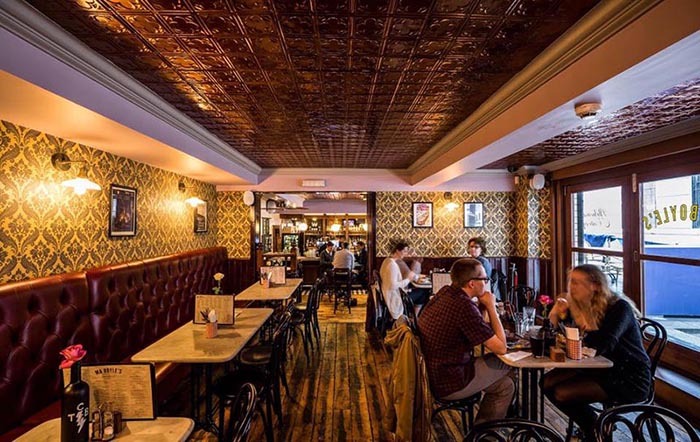 A local favourite, this cosy hideout is well worth seeking out if you’re paying Liverpool a visit. Serving up warming grilled cheeses, delicious small plates and a range of wines and cocktails, a winter evening spent here is a must. The Great Gatsby meets Studio 54 in the heart of Liverpool’s business district. Jenny’s Bar transports you from a fish restaurant to a DJ playing disco, soul and house in a prohibition speakeasy era. Whether you’re out with a couple of friends or a larger group, Jenny’s has got it covered. You’ll find people dancing, dating and relaxing, all without disrupting the ambience. Cocktail emporium and home of the five-dollar shake, Santa Chupitos, known to Liverpudlians as ‘Santas’, can be found on the corner of what appears to be a quiet street just off one of Liverpool’s main bar areas. This endearing bar is home to not just one but three bars, offering an alternative twist to your evening. Serving up original five dollar shakes, adventurous cocktail enthusiasts can sample an Old Fashioned made with duck infused rum, or you can enjoy El Bandito to feed your wild side with a wide range of tequila-based cocktails. There’s no better place to start and end your party! Enjoy a taste of American Breakfast Culture all day long at Moose & Moonshine. Situated along picturesque Hope Street, stop off for a hearty bite to eat or tasty coffee or cocktail. This charming spot is ideal for stopping off after a winter stroll around the scenic Georgian Quarter. With a homely feel that simply can’t be found elsewhere, pull up a chair, enjoy a spot of jazz and choose from tasty cocktails, ales and home-cooked food. Perfect! 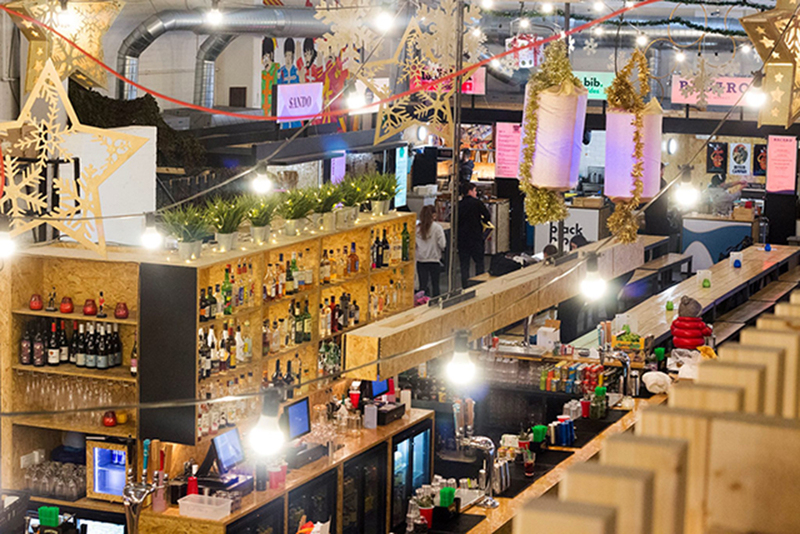 Liverpool’s Baltic Market is the perfect place to spend a cosy evening catching up with friends. Bringing people together to support Liverpool independents, you can wine and dine in the most relaxed atmosphere within Cains Brewery. Explore the spacious venue and indulge in a wide range of sweet and savoury treats from Liverpool’s top street food vendors. The market also showcases craft and home stalls ideal for stocking up on some thoughtful Christmas gifts. Located in the Cavern Quarter of the city, Bar Signature is no ordinary bar. Offering not only a wide selection of drinks, but packages that cater to your perfect night out, from Sunday night cocktails to champagne deals and anything in-between. Bar Signature has the flexibility to offer exactly what you’re looking for, whether it’s a quick drink after work or a place to let your hair down and have a dance. You also have the option to carry on your night out downstairs in Noctua. 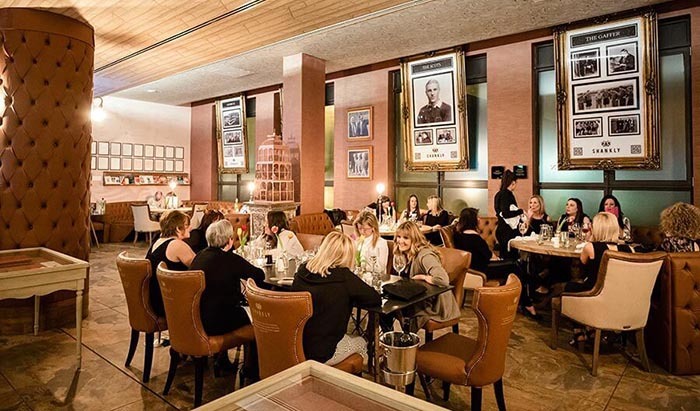 The Bastion Bar & Restaurant, situated in The Shankly Hotel, provides not only a relaxed atmosphere where you can grab some food and a drink, but a unique opportunity to tour the history of Liverpool Football Club’s most remembered football manager, Bill Shankly. View some of Shankly’s most pride possessions and never seen before memorabilia.The Bastion Bar & Restaurant offers a delicious menu, scrumptious afternoon tea and a varied drink selection, providing the perfect backdrop, day or night. You can read more about other bars and events happening in Liverpool here. Want to add to our hang out suggestions? Get in touch now. We would love to hear from you. Pip is a marketing enthusiast with a passion for exploring the outdoors, Liverpool and beyond.